The East Movie Premiere Report! 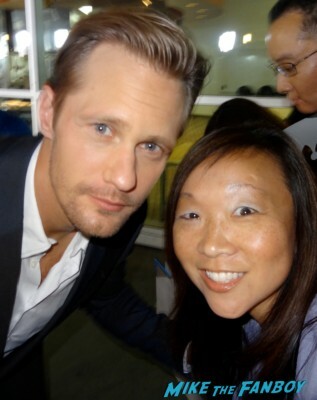 Karalee Meets Alexander Skarsgard! Ellen Page! Bryce Dallas Howard! James Cromwell! Autographs! Photos! And More! Ahhh yet another awesome Alexander Skarsgard experience! With the release of The East on the horizon, Alexander Skarsgard is out and about with co-star Ellen Page. Karalee headed down to the premiere of the film hoping to get an autograph of Alex for a friend of hers.